The latest automotive technologies combined with the most powerful engines on the market, found in one highly organized and elegant place. Qualify reveals the most exotic, limited, and luxurious vehicles, covering everything from the popular to the unconventional in way that is truly exceptional. 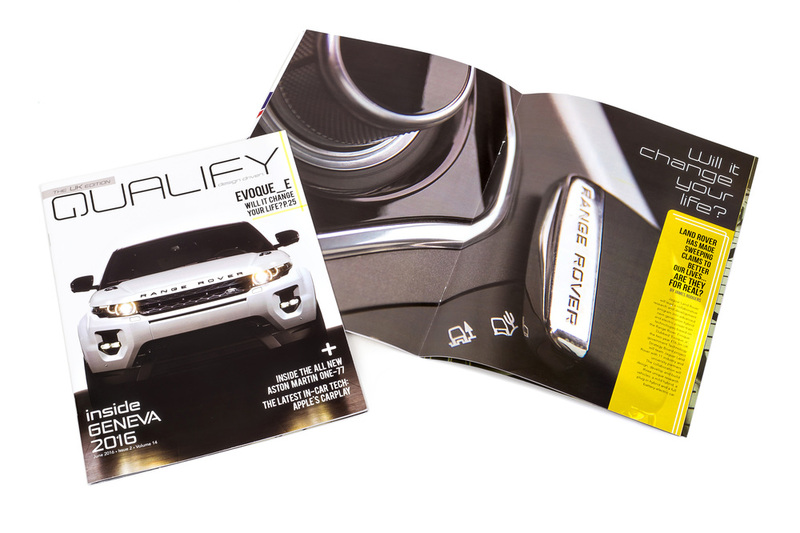 The layout is as sophisticated as the cars it showcases; with a limited color palette, dynamic photographs, and exceptional detail work, Qualify will be sure to impress even the toughest of critics.